I haven’t taken a vacation in a while! I’m talking about a real vacation, where you travel somewhere to do nothing or something…let the chips fall where they may kind of trip. I’ve traveled with Susan to skate comps in Florida and California years ago and have had a couple of business trips after that but this is different. What was difficult for me was that I was leaving Susan behind. She’s going through cancer treatment again but has urged me to do this. “You’re not getting any younger” she said, “do it now…you deserve it!”. I am still having a tough time coming to terms with me deserving it but I’ll agree on the not getting any younger part. 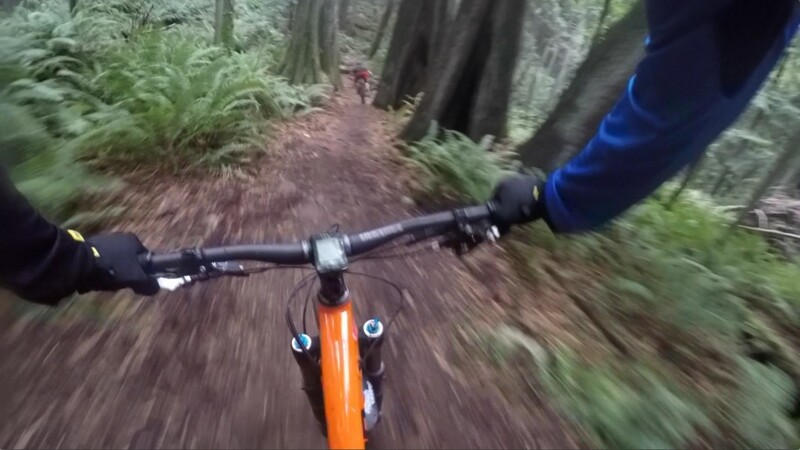 For this trip I’d be heading to Bellingham, WA to see our friends at Transition Bikes! We’ve had a relationship with these guys since around 2008 but, until this past May when we met Kyle and Chris, we hadn’t met any of them face to face. So a trip out to Transition Bikes HQ was in order. I booked this trip at a time when I was working with limited vacation time available to me so I tried to squeeze the 5 day trip in right before the Columbus Day holiday. This translated to traveling on the first and last day leaving me 3 days to get some riding in with the guys. “Scuch”, Chris Pascucci, warned me that October is traditionally when the faucet gets turned on in Bellingham. He’s referring to the rain if you hadn’t guessed and his forecast was spot on by the way. So after checking with Scuch on their schedules, I booked the trip and crossed my fingers for decent weather. 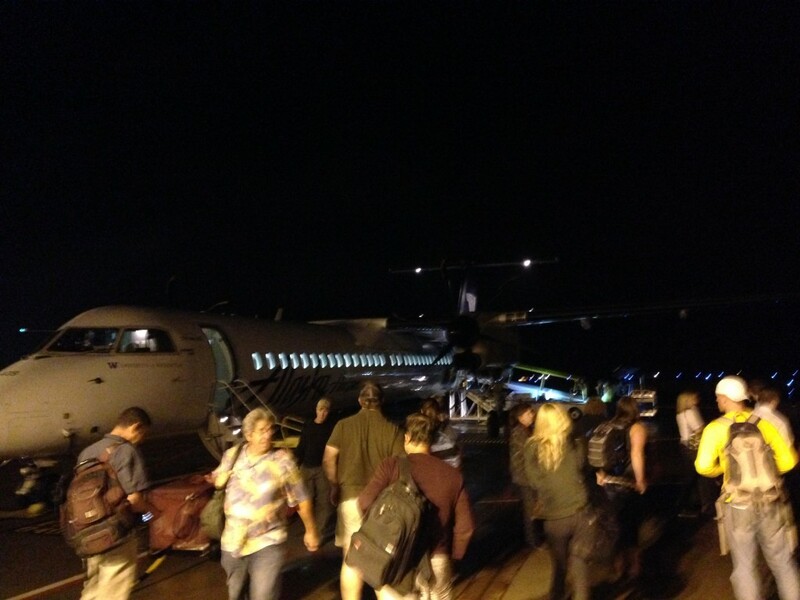 Getting off of the plane at BLI. Traveling to Bellingham is fairly easy except for the limited options to fly in and out by way of Seattle. You either arrive really early or late at night. I wound up getting to Bellingham at around 11pm on my first night. After grabbing a cab for the short drive to my hotel I arrived at The Guesthouse Inn to a warm welcome by the night staff. This hotel is on the mid to lower budget side of things but was pretty nice. It was also close to everything I was there to do. If you want to plan a trip to Bellingham, keep costs low but still have a decent place to stay, The Guesthouse is it. On my first morning I decided to walk to the new Transition Bikes offices. It was only a little over a mile away, not bad. During my walk I noticed two mountain bikers riding in the bike lane on the opposite side of the road headed towards me. As they crossed the street to turn on to another street, I realized that it was Bryn Atkinson and Jill Kintner. That’s when I was reminded that I’m in a mountain bike mecca of sorts. I should mention that where I live there aren’t too many mountain bikers seen riding down the street to a trail center, actually I’m one of a few. This is something I’m working on! 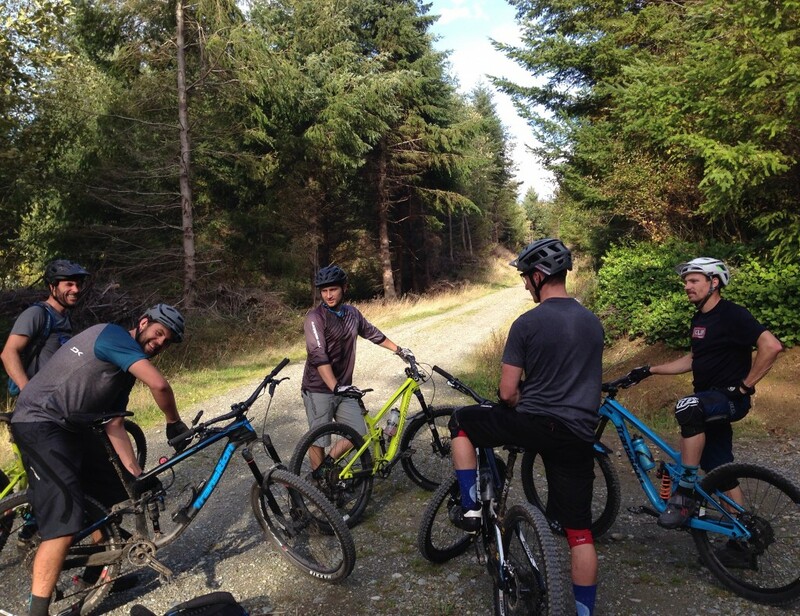 I knew coming out here that I’d be seeing more mountain bikers around that ride and dress like me. This encounter was very refreshing. 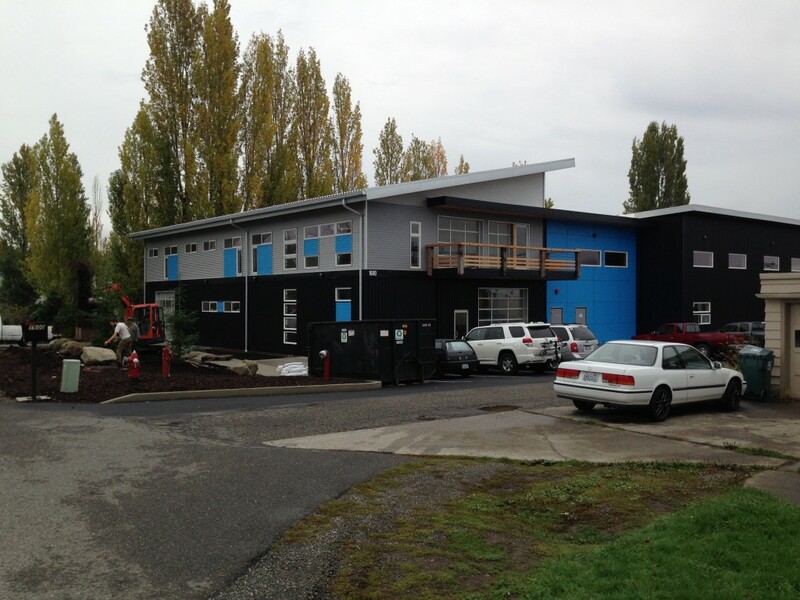 Arriving at and stepping in the door of the new Transition Bikes HQ was like a home-coming of sorts. I was seeing people for the first time that I’ve only talked to via email or phone so I was surprised by the hearty hugs and hand shakes. 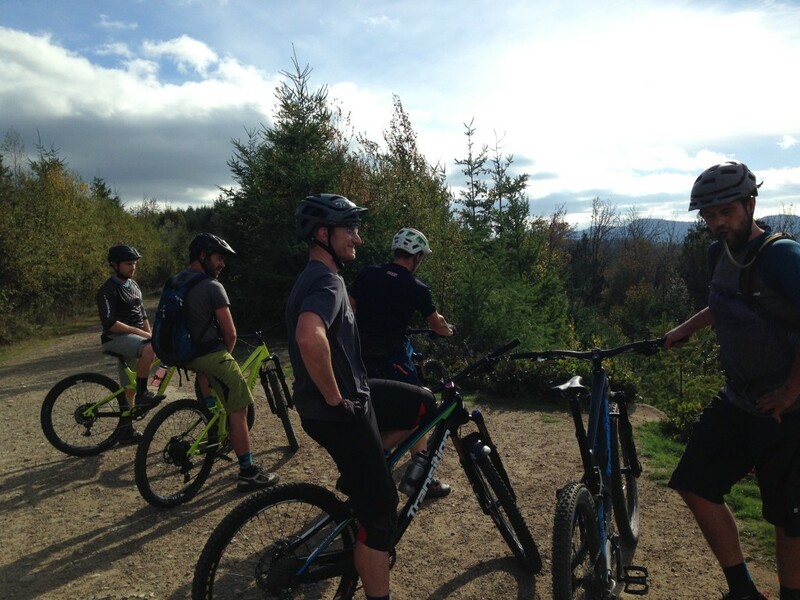 These guys are as real as it gets, they live and breathe mountain bikes…and well, bikes in general. 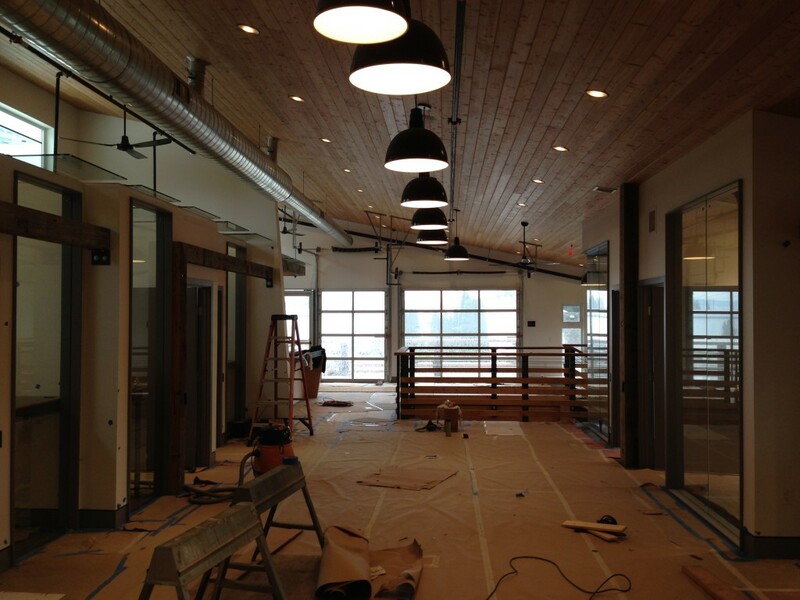 The new Transition Bikes upstairs offices…almost done! After getting the tour of their beautiful new building from Kyle and getting to meet everyone I hung out with Carl a bit. 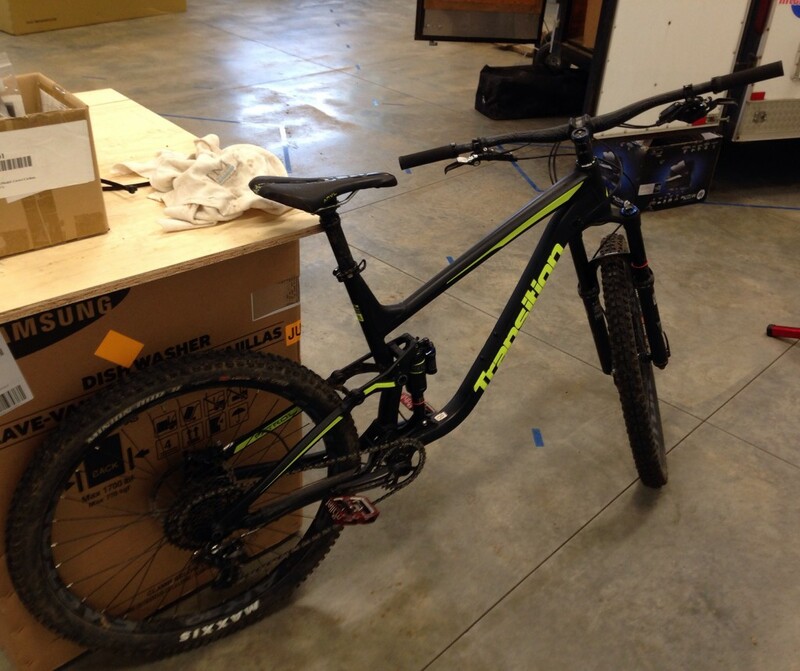 I then spent some time in the shop getting my bike set up for my first ride. 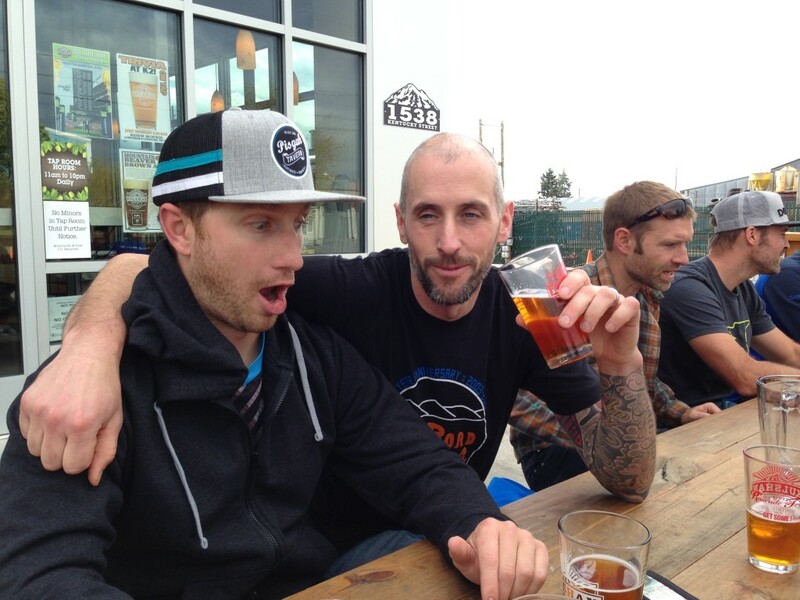 I got to hang out with Josh Poulsen, Transition’s new mechanic. 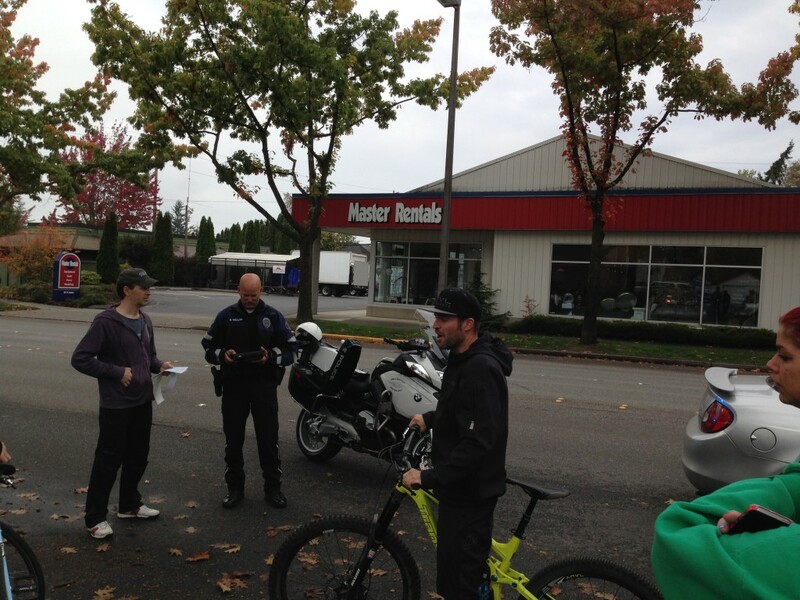 Josh takes care of the demo bike fleet as well as the bosses bikes. Like everyone else at Transition, I felt like we had been friends for a long time. Since I decided not to bring my bike with me, I was offered to use any of the demo bikes that they had on hand. 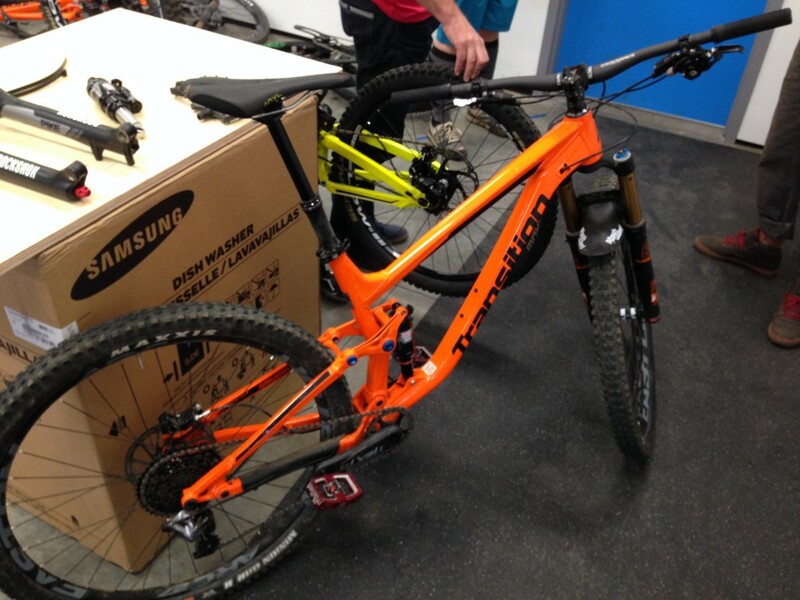 For the first day I decided to try out the new Smuggler which is their 29r trail bike and Josh helped me get set up. I was fortunate enough to experience what daily life was like for the Transition guys over a couple of days. At around noon, everyone was ushered out of the building. We rode bikes to lunch to a local brewery with a lunch truck parked out front. Riding to lunch was like being a kid again. I grew up riding bikes around my town with friends pulling wheelies and skidding into rocks…this ride to lunch brought back those memories. We’d wind up having a memorable lunch as a guy on a bike, wearing a bandanna over his face, yelled obscenities at us as he rode by. He then caused a car wreck. After lunch I was ready to ride. I had no idea where we were headed but I was certain that it would be a great day of riding. 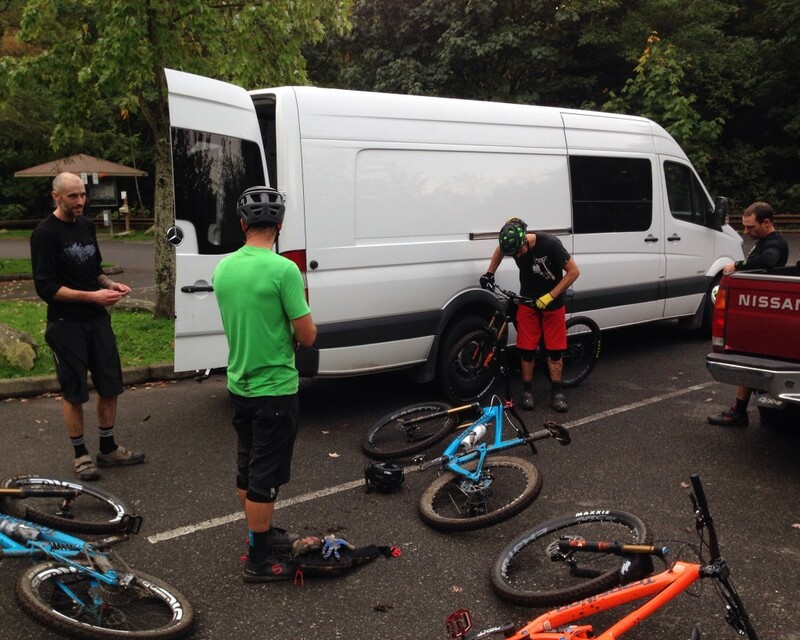 So we loaded up the sprinter van and headed out to Chuckanut! This would wind up being an “epic” day for me. I live in a relatively flat area and this was the complete opposite. 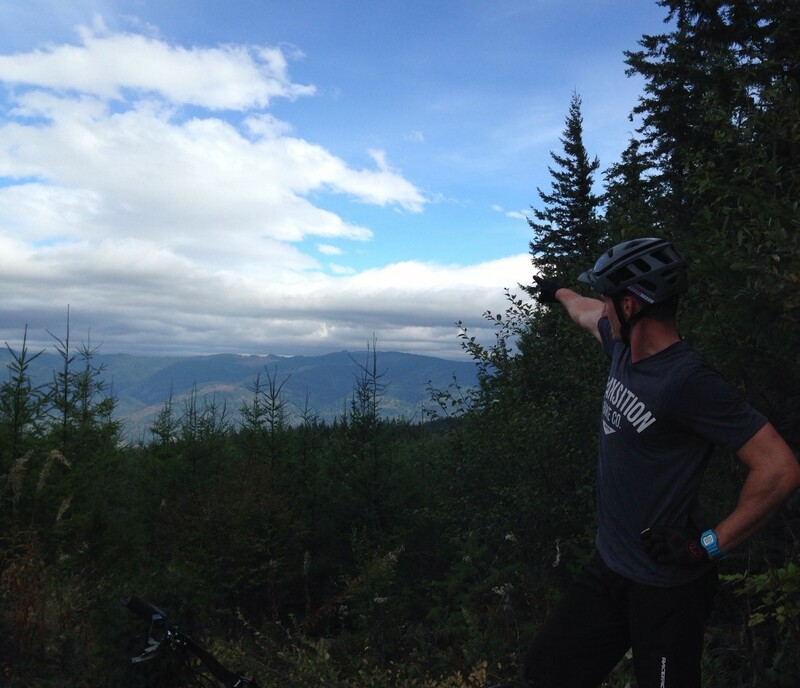 Chuckanut Mt. has just about 2000ft of elevation and our 12 mile ride would wind up with almost 3300ft of climbing! The trails we rode were amazing! 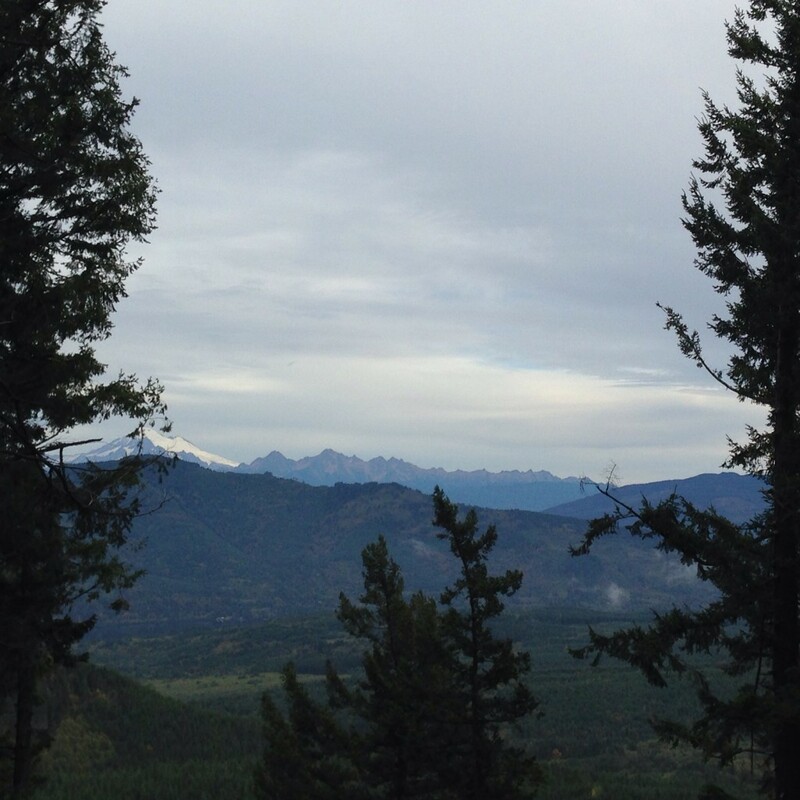 Along one of the climbs back to the top we stopped to check out an amazing view of Mt. Baker. It was stunning and everything that I had expected before heading out to Bellingham. Although this was my first time riding these beautiful trails, I had a blast trying to follow Lars, Rico, Kevin and Kyle. I would have loved to had another day on them so that I could have hit them and their features with more speed. I was also on a borrowed 29r bike so I wasn’t in my comfort zone. Post ride recap with the guys! L to R: Kevin, Kyle, Rico & Lars. This day I’d take a Patrol out for a spin. I own a Scout and am used to the geometry of the Giddy Up bikes but each model has a slight difference for it’s intended use. The Patrol has more travel than the Scout but has a similar ride characteristic in my opinion. The only adjustments I’d have to make were the saddle position and suspension settings. Day two bike, the Patrol! 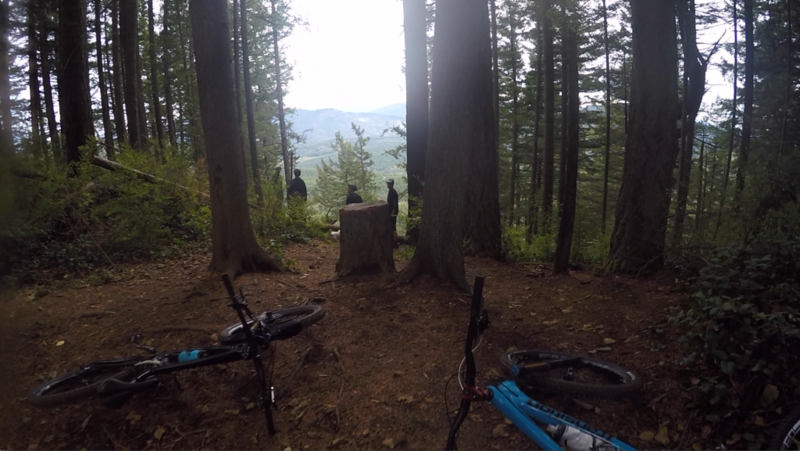 For my second day of riding we would head up to the local trails on Galbraith Mtn. with Blake, Scuch, Sam, Lars and Darrin but not until we hit the local pub for lunch! 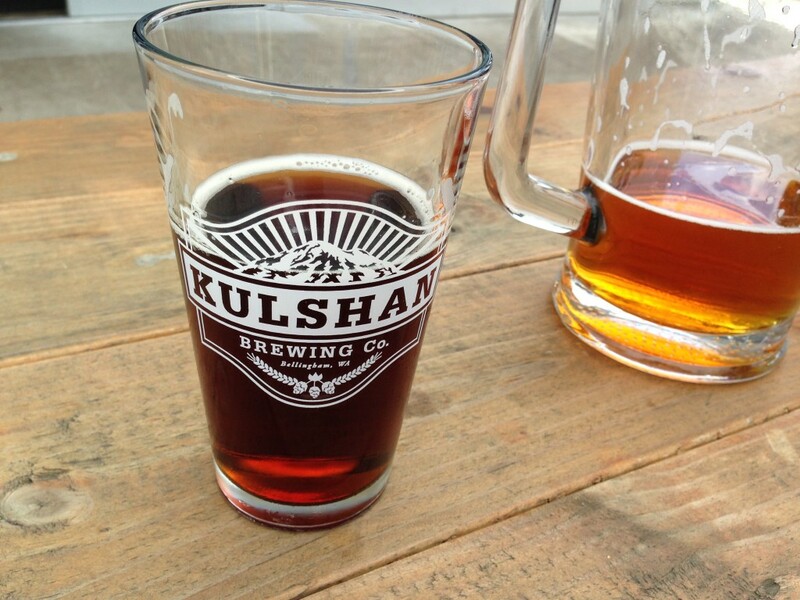 Around noon we’d walk down the alley to Kulshan brewery where a “Philly Cheesesteak” truck was parked in the lot. I was told that Kyle loves this food truck for its cheese steaks ever since Rob, of Community Bikes and Boards, took him and Scuch to South St. for a Philly Taco. For those that aren’t aware, a Philly taco is a Lorenzo’s pizza slice wrapped around a Jim’s cheese steak. The cheese steaks weren’t bad, they just aren’t up to Philly standards, sorry Kyle. It’s all about the roll and they just don’t have the Amorosos out there! 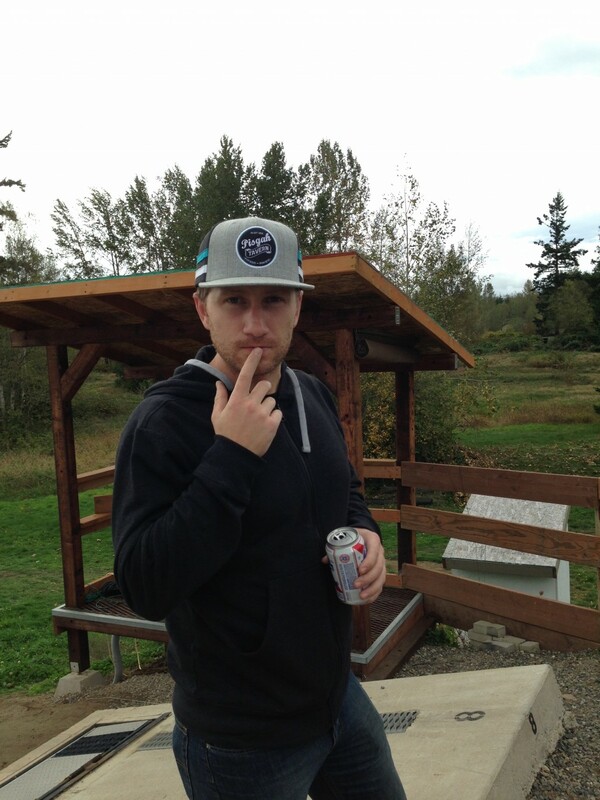 The stop at Kulshan brewery for lunch was another cool experience and chance to hang with the guys some more. I could get used to “carbing up” like that before a ride if I had this place near me! 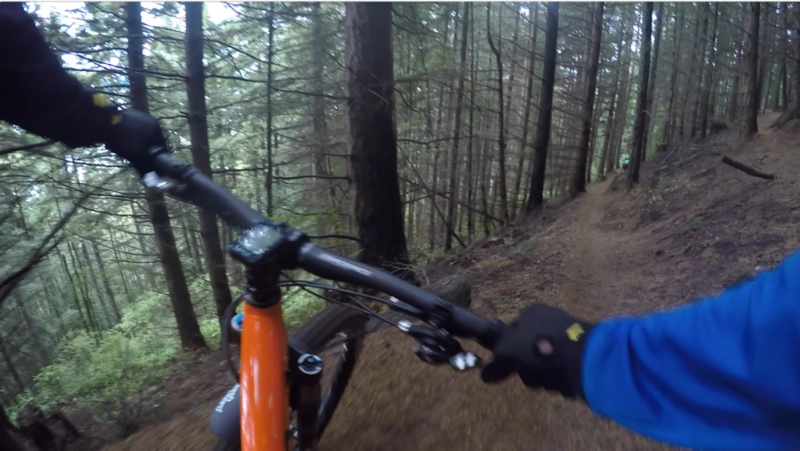 After lunch and a little business, we’d head out from the shop where the guys would take me to some of the trails that Bellingham is known for…and most of them I’d recognize from various mountain bike videos. 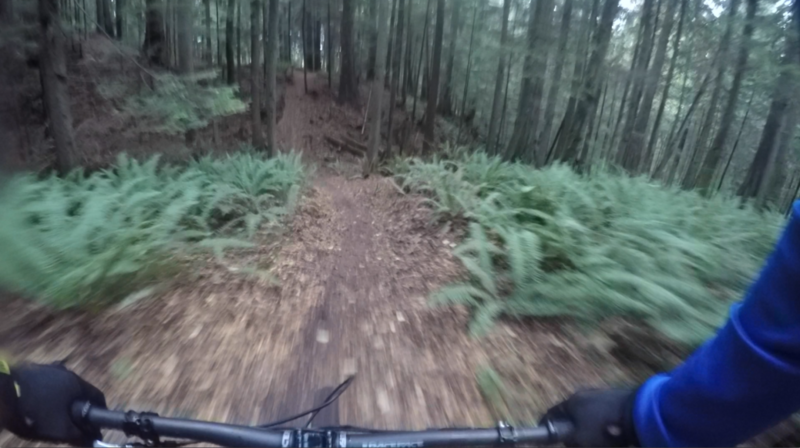 It is truly amazing that you can ride from town right up to “Galby” to some world class trails. I got to hear some funny stories and get to some amazing views. 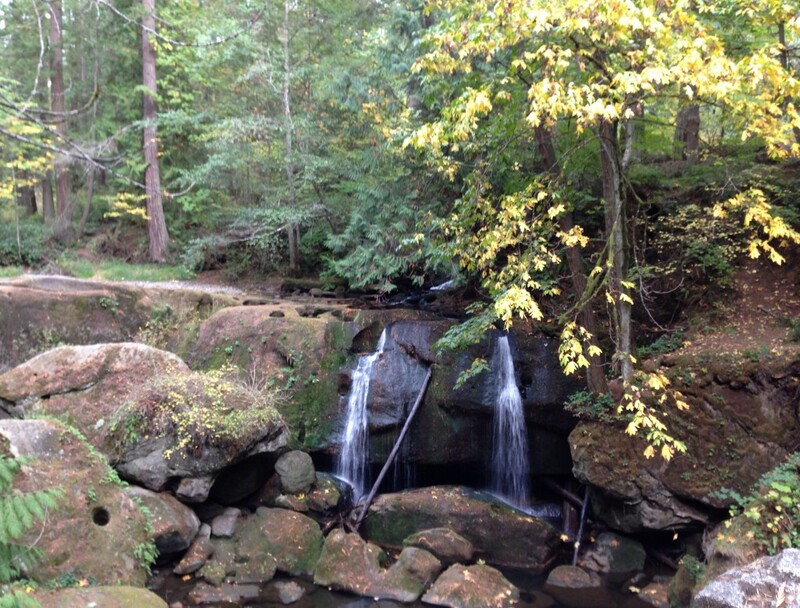 Again…I only got one run down the trails and was on a borrowed bike. I had a blast but want more. 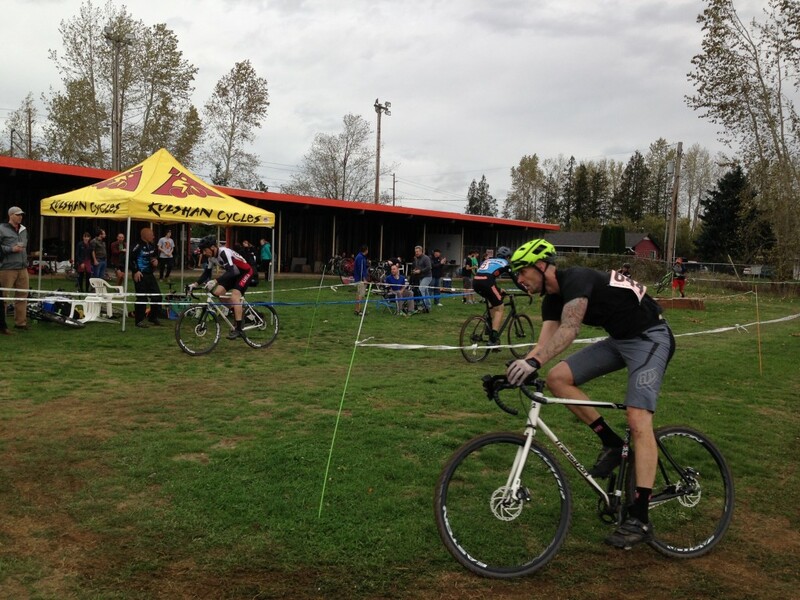 Bellingham’s riding is known as some of the best in the country. Everything was amazing, there were some tough climbs but I was rewarded with great views and even greater descents. So my last available day to ride was Saturday and the forecast wasn’t looking good. In hindsight I should have grabbed a bike from HQ so that I could ride from my hotel that morning. I didn’t and I didn’t want to bother any of the guys to let me in the building to grab a bike to ride that morning. So plans switched to an easy morning. Chris would pick me up so that we could run some errands and go watch Kevin, Lars and Darrin race in a cyclo-cross race. Kevin coming through the chicane. Lars on the leader’s tail. We’d wind up having a blast standing out in the rain with Kevin’s wife Kelly yelling obscenities at Kevin, Lars and Darrin. We also got soaked from a downpour. I think the PBRs helped us get through this situation. One of my agendas on this trip was to get a rock from Bellingham for Susan. 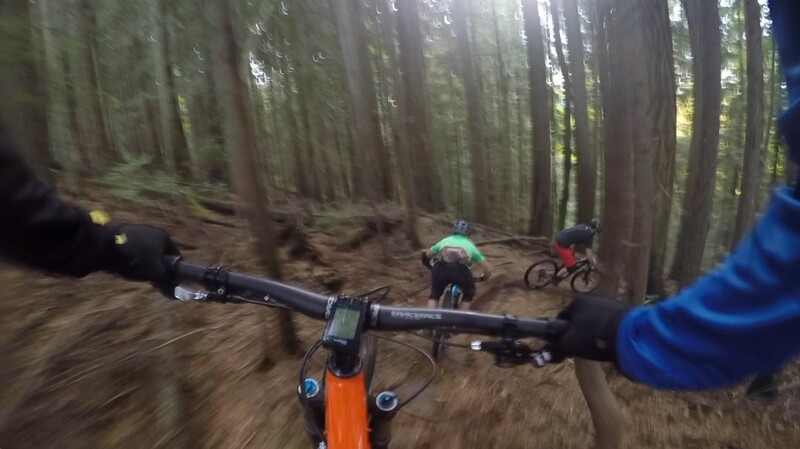 It’s a tradition that we started some time ago when making some mountain bike trips. A garden by our front door is surrounded by various rocks that we’ve gathered over the years. They’re small reminders of our adventures. Of course each one has a story and the rock from this trip has one that naturally unfolded. While out to dinner Friday night with Chris, his girlfriend Maureen, Lars and his wife Asta and Darrin , I got to tell them Susan’s story with a little more detail. We got into the rock story and Chris said he’d help me take care of that situation. 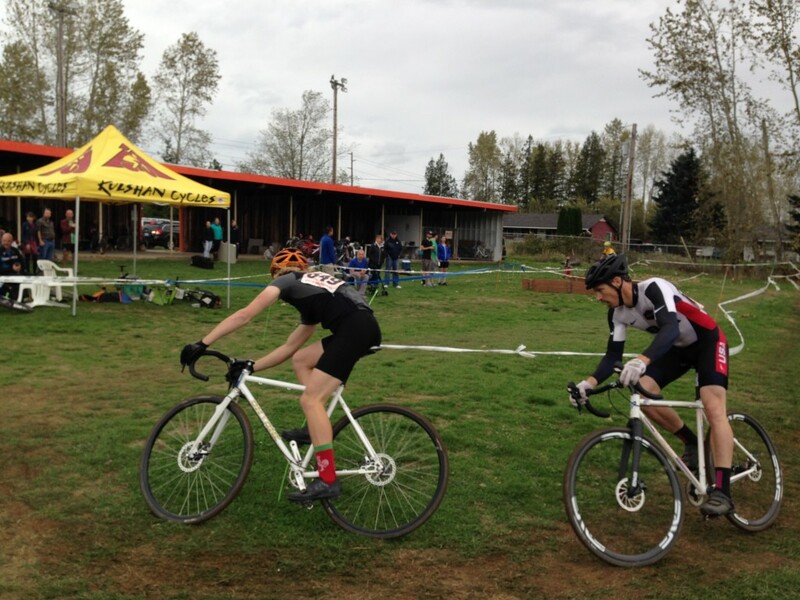 At this point in this story I wish that my phone hadn’t crapped out during the cyclo-cross race. I think it was the extra moisture. I wasn’t able to grab shots of the shoreline where Chris took me to find that special rock. The timing of my trip was great in that I was able to attend the WMBC’s Shoot the Trail Awards event on my last night there. This is a fundraising event for the WMBC so they put on the photo and video awards to help drum up interest…and money of course. These guys (WMBC) do some great work on the trails and like other trail building groups around the country, need money to buy tools and supplies for the volunteer trail work they do. For me this was a night to unwind and meet some people I’ve only seen or met online. 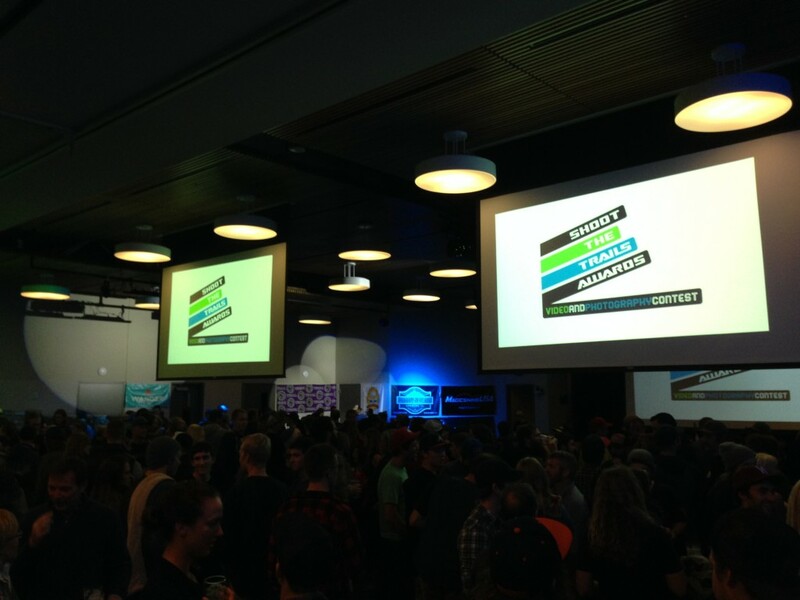 It was a packed house as they had sold 650+ tickets for the event. That is unbelievable anywhere else but not surprising for Bellingham. 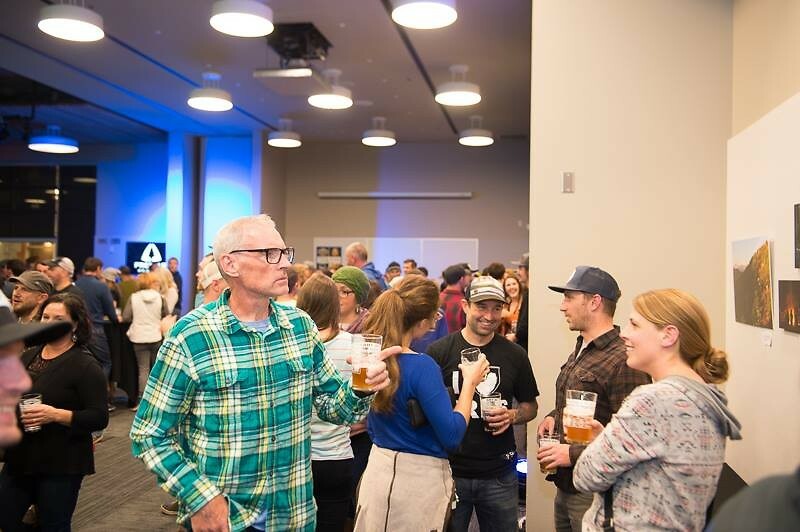 The mountain bike community is strong there and they have great people volunteering on the WMBC board to get things done right. Kevin and Blake from Transition are both on the board. Me playing the “guy pointing interestingly at a photo” for the camera as Maureen looks puzzled. I have to take a moment and personally thank Chris Pascucci for helping me get around, the dinners out and made sure I was taken care of! The fact that Chris took time out of his Saturday to help me find a rock from my trip was awesome. I had a bike and could have been pointed in the right direction but he drove me where we needed to go. I can’t say it enough how appreciative I am for the hospitality that Chris showed me during my trip. His girlfriend Maureen was also very nice as she made sure I wasn’t stuck out late at the WMBC event Saturday. I had a 6am flight out of Bellingham and the last thing I needed was to be out late. The early flight home was a little rough to make but I had a smile on my face after a great few days with good people. I definitely want to plan a return trip with Susan next year. We’d probably try to book it for a warmer month so that we can take in some kayaking. As I reminisce about this trip, it’s a reminder to never grow up. Life is too short, keep that inner child alive…enjoy life while you can!